Hanno W. Kirk, LICSW, Ph.D. Private Practice in Lewisburg, West Virginia offering counseling as well as training the brain with EEG Neurofeedback. Dr. Kirk’s philosophy is to help clients find practical solutions to problems, so they function at their peak efficiency. Children and adolescents with ADHD, Autism Spectrum Disorders, or other behavioral problems. Adults and couples with relationship issues. Persons with grief and end of life care issues. Hanno W. Kirk, was born in Germany and came to the United States when he was 13. He served as an officer in the US Army during the Vietnam era. He has been an educator/trainer for the past 35 years. He has taught a wide variety of subjects ranging from Political Science, Pastoral Care for Older Persons, Psychology, Sociology and Psychosocial Issues in Medicine. He has been in private practice in Lewisburg, WV, since 1989. From 2003-2007 Dr. Kirk gave all day seminars throughout the United States on “Is it ADHD or Pediatric Bipolar: Differential Diagnosis and Effective Treatment.” From 2008-2011, he gave nationwide seminars on “End of Life Care: Best Practices and Applied Ethics.” His latest focus has been on developing effective treatment for Autistic Spectrum Disorders and helping parents negotiate special accommodations for such children with schools. He is principal author of “Psychosocial and Behavioral Issues in Medicine.” (2002). Restoring the Brain: Neurofeedback as an Integrative Approach describes the history and process by which neurofeedback has become an effective tool for treating many mental and behavioral health conditions. It explains how new brain research and improvements in imaging technology allow for a new conceptualization of the brain. It also discusses how biomedical factors can degrade brain functioning and cause a wide range of symptoms of mental disorders. The book is written in an accessible style for easy understanding and application to diagnosis and treatment. Recent discoveries on the neuroelectrical properties of the brain illuminate the possibilities of combining innovative neurotherapy techniques with integrative medicine to achieve optimal brain function. This book’s case studies of clinical applications highlight neurofeedback’s effectiveness in treating autism, ADHD, and trauma, particularly PTSD. 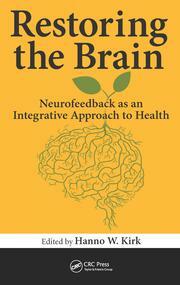 Integrative approaches are the future of health care and neurofeedback will play an increasingly significant role. Neurofeedback techniques have evolved with surprising speed over the past few years. Much of the progress has been due to the pioneering, results-driven clinical work done by Sue Othmer. In collaboration with Siegfried Othmer who has provided the theoretical explanations for their work, EEG Neurofeedback has moved from QEEG based training to symptom driven training. Along with that has come the development of new instrumentation and software that allow for Very Low Frequency training. "Neurofeedback addresses the physiological basis of behavior, the aspects that are accessible to us by virtue of our innate brain plasticity. With the appropriate set of tools, one then observes what can be accomplished in a training paradigm. Neurofeedback can be considered physical therapy for the brain." Siegfried Othmer, PhD, Chief Scientist, EEGinfo. Who knew anxiety was hobbling my brain? Certainly not I. But sometimes you don’t know what you’ve got ‘til it’s gone, and that is the case for me and my underlying anxiety. Everything from mundane chores to professional responsibilities is now less of a hassle. It seems like magic. F.W. I feared my child with autism would never be able to attend school. After 20 sessions of counseling and Neurofeedback, he is attending school and handles himself well in social situations. We are continuing with the sessions because we see ongoing improvement. S.W. 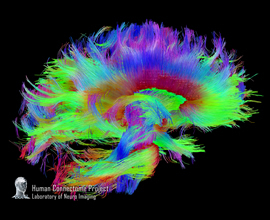 The Human Connectome Project has done some pioneering work on the amazing connectivity of all parts of the brain to each other. The implications for Neurofeedback are that when we train one part of the brain, we often see overall improvements in emotional and physiological functioning because calming one part of the brain, will automatically have a beneficial effect on the rest of the brain. Click for a graphic illustration of this point.